Which Are Best Horse Hoof Nippers On The Market? Horse hoof nippers are the first stage to trimming a horse’s feet. Removing the excess overgrown hoof is not only essential for the horse’s foot health but it also makes them looked beautifully shaped. Following the natural shape of the hoof will help everything about the horse, making sure his gait is as true as it can be, as with too much overgrown hoof he can be prone to lameness and problems with walking. A highly professional pair of nippers, these are extremely hard working and will see you through thousands of hooves. 14 inches is a versatile length – These nippers are ideal for those who like longer handles as well as those who prefer a shorter grip. You can hold them closer or further away from the head, depending on your preferences. Used by professionals the world over – The fact that this tool is used by farriers who trim horse’s hooves for a living is a great selling point for these nippers! When other professionals recommend them, you know you’re onto a winner. They are a fantastic shape – Long slim handles with a little flick at the end make this pair of nippers very comfortable to use and easy to store and carry around. Sharp in colour as well as blades! 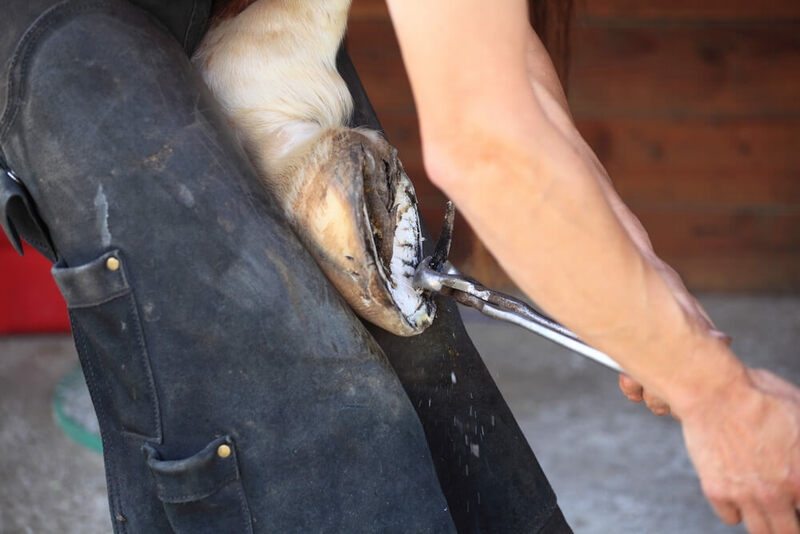 – These nippers are black, which means they won’t show any dirt or tarnishing – not that this is the first thing on your mind as a farrier, but it is a plus point! May be shorter than some farriers like – For those that like a longer handle, this may not be the best product you could buy. All in all, these are a fantastic pair of nippers which will make light work of just about any hoof you can throw at them. There is no defined type of hoof that will suit these nippers; they’ll do great for all of them, from Shetlands to drafts. This is a high quality pair of nippers which will make light work of any hoof, no matter the size of the horse. They are well made and designed for the job that they do, and are used by a great many professional farriers. Designed for optimal cutting and leverage – These nippers have been designed with farriers in mind to help make the job easier, which means being well balanced and with good leverage. They are very durable – The last thing you want is to have a new pair of nippers that fall apart after a week. These ones will keep going for years, saving you money and a lot of frustration! Longer handles than some nippers – Some people like a longer handle, and find that they work better for bigger horses. These nippers are 15 inches long, meaning that they should get through just about any hoof. Sharp blades for good cutting – Sharp nippers are a must. These will arrive on your doorstep razor sharp, and with a good edge that should last for a long time. The processes that make the blades have ensured great strength and edge holding qualities. The handles may be a bit long – For those that like a shorter pair of nippers these may be slightly on the large size. Tough-1 have made a great pair of nippers that will cut through even draft horse feet with the greatest of ease. Good quality nippers are so important; after all they are one of the tools you use most frequently. This is a well designed pair of nippers, which are made using the best heat treatments around to get a really strong finish and an edge that lasts and lasts. They are durable and have great longevity, and so will save you money on new nippers. Heat treated jaws and handles – Heat treating will make metal incredibly strong, which is an ideal quality for a tool that is used for cutting through the hardest part of a horse! This treatment also makes the nippers last longer. Cutting edges are flush ground and honed – This type of treatment of the cutting edges makes them extremely sharp and strong, so they should go through any hoof in the world and be very accurate. Plastic coated handles – Some people don’t like handles which are just bare metal, so these should suit very well. The plastic handles make the grip warmer and more comfortable. Most nippers have all metal handles, so the plastic grips on these set them apart from the crowd. Smooth and easy to open – These nippers are very easy to use, with no sticking or jamming anywhere to be seen. This makes them a much more comfortable pair of nippers than some on the market. May be slightly heavy for some – At two pounds in weight, these nippers are heavier than some on the market so may not suit everyone. 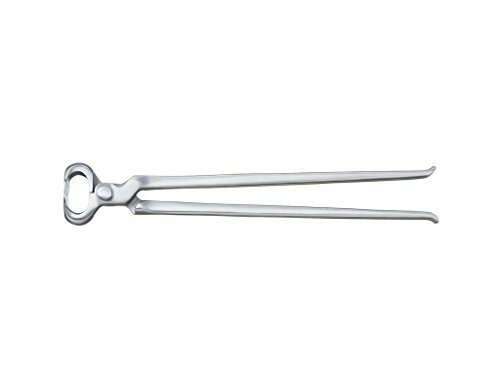 These are a good all round pair of nippers which are designed to cut through any type of hoof, while being comfortable to use and highly efficient. A great pair of nippers is very important for any farrier, or even for the amateur with a big herd who likes to trim their own horse’s feet. Strong, sharp nippers which can cut through hoof are an absolute must for the tool kit, and you can find some really good ones that will save you money in the long run. Alternatively, some people like smaller nipper for smaller horses or softer hooves (or smaller hands!) 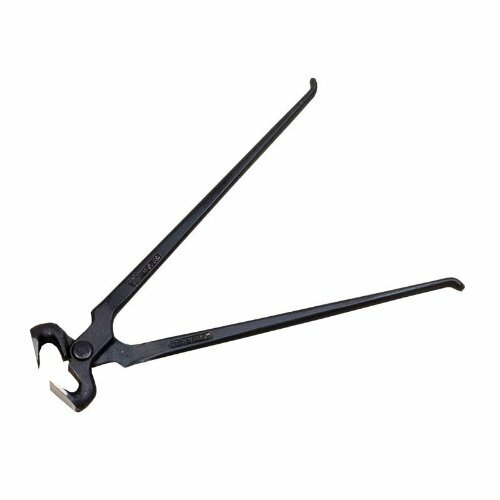 Investing in the best horse hoof nippers will be the best thing you can do today, so have a browse through the products and see which ones suit you the best.